Manila is the capital of the Philippines, the primary reason why you should consider visiting Manila tourist attractions. Manila is rich in history, densely populous but certainly one of the beautiful places to visit when in the country. 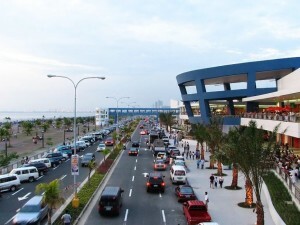 The city of Manila is bordered by the cities of Caloocan and Navotas in the North, Mandaluyong and San Juan in the east, then Pasay to the south and Makati to the southeast. The second most populous city, next to Quezon City has an inhabited area of 38.55 sq KL, making the city the densest in the world as well, not just in the Philippines. Aside from being densely populated, Manila is home to Malacanang Palace, the president official home and the world oldest hotel, the Manila Hotel. Foreign and local travelers visiting Metro Manila for the first time should also check out Manila tourist spots as the city has a lot to offer first time visitors. In fact, Manila tourist attractions can make your visit to the Philippines complete. That’s right! You don’t have to visit any of the provinces in other part of the county to understand the filipino culture, especially its people as you can learn a lot of things from visiting manila alone. But of course, if your schedule allows you to visit Metro manila nearby provinces, then much better but do it after you visit the tourist spots in Manila. 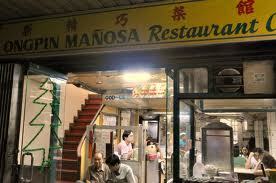 The following are places to visit in Manila, places that I have personally visited not just once but many times. 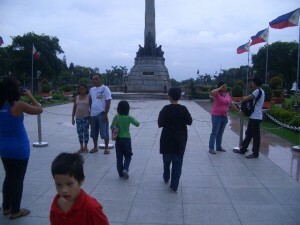 Rizal Park is the first place I always recommend to friends abroad, simply because the park is part of the Philippine history. It is the place where the shrine or national monuments of Jose Rizal, the Philippine national hero are located. Additionally, there are so many things to do in Rizal Park, like visiting the Orchidarium, Butterfly Pavilion, Japanese Gardens, and Chess Plaza. Nayong Pilipino, as far as I know, the only cultural park in manila. The park was built to provide both local and foreign tourists a quick overview of the Philippine famous attractions as well as highlights the country’s rich heritage. Inside the park are six miniatures of the country’s regions like Bicol, to represent the tagalong region, and Cordillera for the visayas region then other regions that showcases Filipino crafts and ingenuity. The walled city of Intramuros is the oldest district of Manila. The 64-hectare stone city was founded in 1571, during the Spanish period. The fortified city was built to protect the people from foreign invasions. 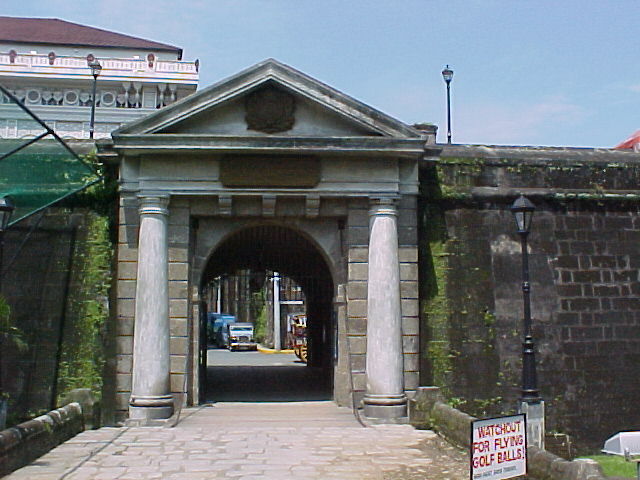 So, when in Manila, check out Intramuros fortress, you can have a nice time looking at the various forts, monuments, and statutes then dine at the famous Barbara Restaurants for authentic Spanish and Filipino dishes. By the way, it is best to visit Intramuros early in the morning or afternoon as the Philippine temperature can really make you hot. 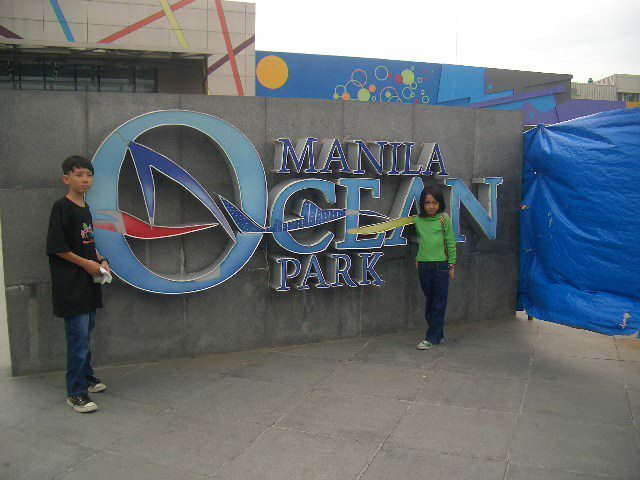 If you are already at Rizal Park, then head straight to Manila Ocean Park as you can walk straight from the park to the Oceanarium. Plus! The walk will do you good as you can enjoy the scenery. Don’t worry it is safe to walk since it is just near. If you are a fan of Sea World, visiting Ocean Park is a good idea as you can see a lot of the Philippine fishes and dolphins. There is also a boutique, restaurants and other establishment inside the park to keep you entertained when you have finished visiting the different entertainment that the park has to offer. 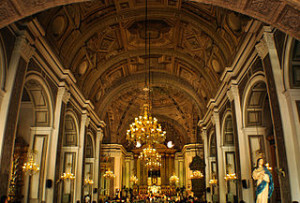 If you are interested in churches or religious history, then a visit to the Manila Cathedral is a good idea as the church is giving tourists a glimpse of the Philippine history. The beautiful church is built around 1570, and was rebuilt twice because of WW2 and earthquake. Nevertheless, the church remains beautiful inside and out, and since it is just less than a minute from Fort Santigo and Rizal Shrine, then visiting the church is highly recommended. Aside from Manila Cathedral, the San Agustin Church is also another church worth your time especially since it is part of the “UNESCO World Heritage Site,” therefore you can expect the church and its museum well preserved. Oh! One more thing, be prepared to pay P150 for the entrance fee, the fee is for the upkeep and maintenance of the church. 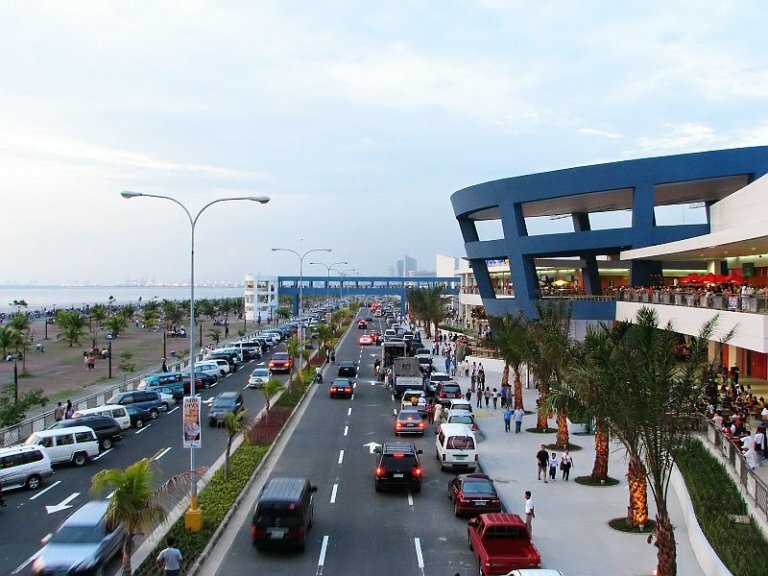 SM Mall of Asia is owned by Lucio Tan of SM Prime Holdings, the developer of all SM shopping mall in the Philippines. MOA is for shopping and hanging out, especially at night as you can dine outside in one of the restaurants along the bay side. Also, MOA has a tall Ferris wheel similar to London Eye. 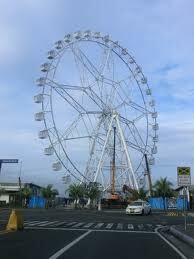 MOA Eye is 180 ft tall, with 36 fully air-conditioned gondolas, wherein each gondola can carry six persons. The Ferris wheel operates daily. When in Manila and you want to shop until you drop without spending much then the best place to be is in Binondo, the oldest Chinatown in the world. 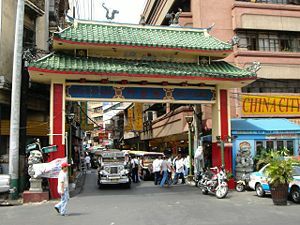 Established in 1594, Chinatown is the oldest district in Manila and the home of authentic Chinese restaurants as well as dirt-cheap goods. If you love lively places, good food, small, narrow streets, friendly people, wet markets, great locations for photo shoots and most importantly, experienced the old world charm of Manila, then you should definitely include Chinatown to your Manila tour. Manila Zoo, when compared to San Diego Zoo and other great Zoos, across the world is a bit disappointing because the city were unable to upgrade the oldest zoo in Asia. 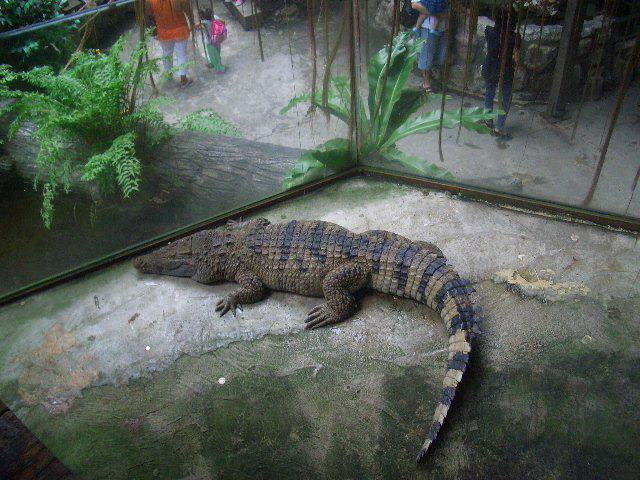 Anyway, it is the oldest zoo in Asia, so you might as well check out the place while in the area. If you are travelling on a tight budget, then Baywalk is a fabulous place to be as you can watch the sun set there and enjoy the scenery. 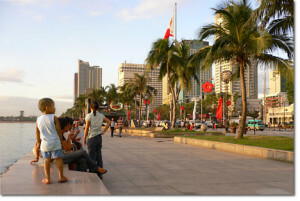 Baywalk is a fantastic place to visit more so when you enjoy people watching, just sitting and doing nothing but just savor the moment and experience Manila without spending a dime. If you are already along Roxas Boulevard, and would want to watch the lights from the sea then why not go on a dinner cruise. Sun Cruise a local tour operator offers dinner and cruise for as low as $12 per person. The cruise will take you around Manila Bay while you eat a sumptuous dinner and listen to a live musical show. The cruise offers a memorable experience. The price for the cruise and dinner is still cheaper than most dinner cruise in other Asia countries, so you can have a great time for not much. The above manila tourist attractions should give you idea on what to do when in Manila. This article can be use as guide to help you plan your manila trip.